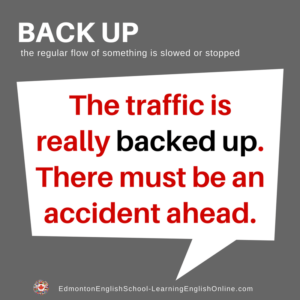 What is the Meaning of BACK UP? 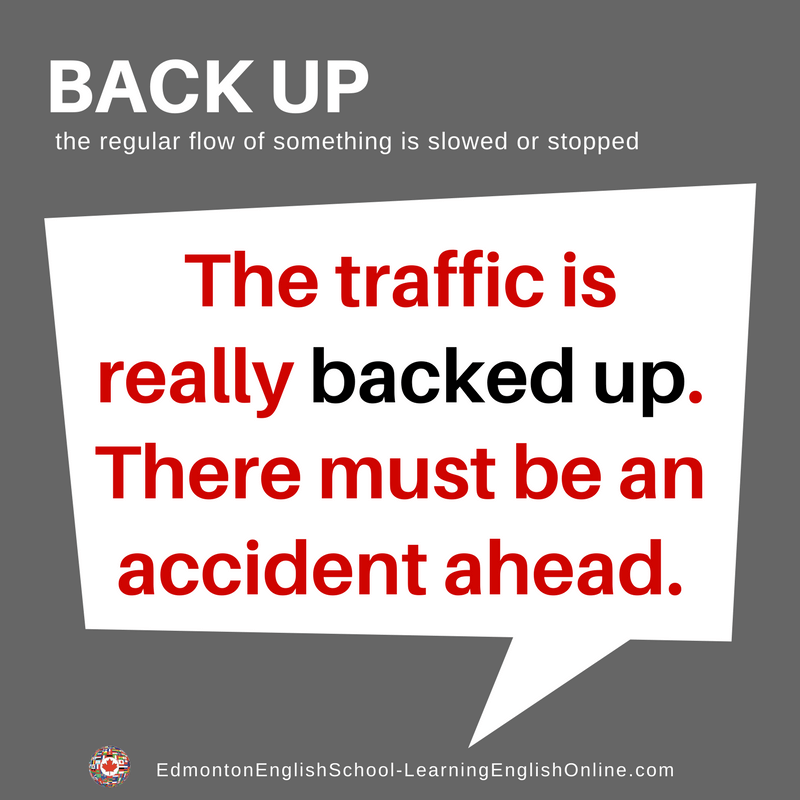 If something backs up, it means the regular flow is slowed or stopped. Don’t pour grease down your kitchen drain or the water will back up. Every day the traffic on the freeway starts to back up at 4:00 p.m. Note: For this definition, it is not always necessary to include the object (e.g., the car). Could you please back your car up a little? They had no scientific evidence to back up their claims. My boss doesn’t believe me. I am glad that Cris will back me up. We back up all our data every Friday. My computer got a virus and everything on my hard drive was destroyed. Fortunately, I had been regularly backing everything up.